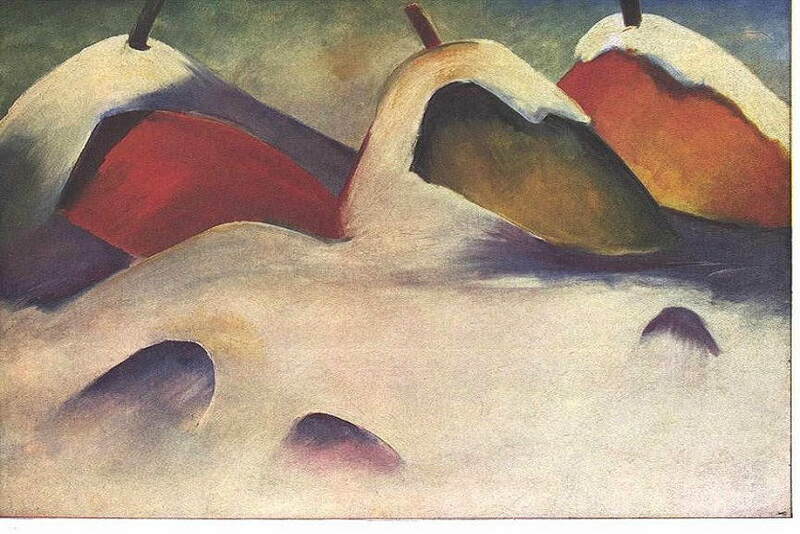 With the holidays approaching, we have made a list of the famous winter paintings from modern and contemporary artists inspired by the changes in nature the last season of the year is bringing about. While in modern times representation of winter is among the usual topics, in the past such theme was rarely chosen, and was often a backdrop for religious or historical narrative paintings or manuscripts. Its progression from the mere background to the main topic of a painting spans over several centuries, and it reached its peak with Impressionism. On the February page of the well-known Gothic manuscript Les Très Riches Heures du Duc de Berry, sitting enclosed in a barn two women and a man are warming themselves by the fire, while outside snow is covering the landscape. Winter paintings did not appear in Western art until the 15th century and February page is one of the earliest examples of such representation, illustrated between 1412 and 1416. Another well-known winter painting is The Hunters in the Snow by Pieter Bruegel the Elder from 1565. The painting is considered one of the first truly winter paintings, but was also part of a series illustrating the months. During the Northern Renaissance winter and other landscape paintings entered the high art as Protestant countries banned the religious imagery. Landscape and still life paintings soon took over, and spread as legitimate genres throughout Europe. 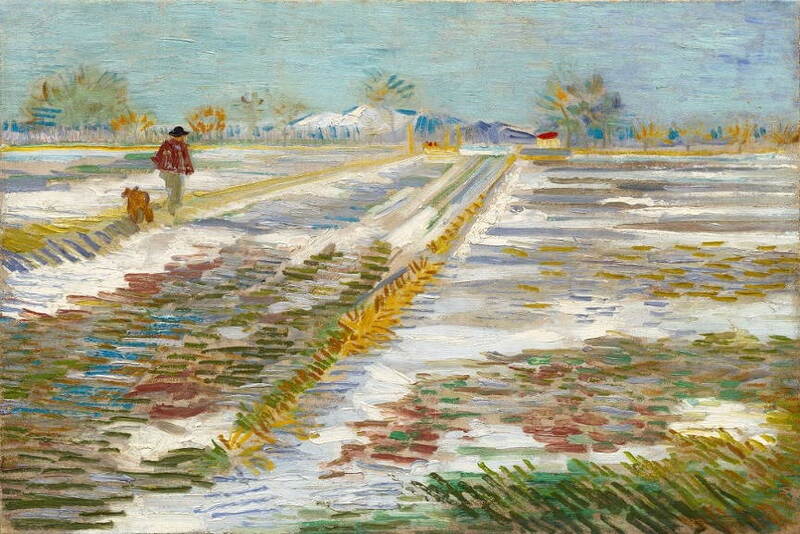 Influence of northern art can be traced in Italy and other European countries, and landscape paintings, including winter themes, became a regular and appreciated theme in art. It is interesting to note, however, that the winter of 1964-1965 when Bruegel created his Hunters in the Snow was particularly harsh, and marked the beginning of the so-called Little Ice Age in the north. In the more recent past, Romanticism was responsible for the surge in landscape painting, with many creatives choosing winter as the season that best reflected the melancholy and romantic rupture of the time. Perhaps the most famous landscape painter of the period, Caspar David Friedrich often depicted winter. His winter landscapes, however, reproduced the drama of human emotions instead of being the realistic depictions of painter’s surroundings. Although he did his works often in plein-air, this mode of painting will become world-known with Impressionists. 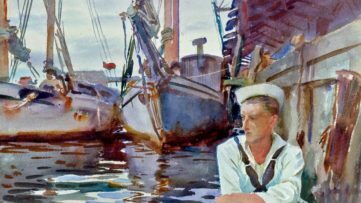 Their interest in light followed the liberation of art genres from the stern academic principles. Focusing on the everyday, Impressionists found beauty in the changes light effected on objects and landscape. Camille Pissarro, Claude Monet, and Alfred Sisley produced a significant number of winter paintings, with their interest in the so-called effets de neige, or effects of snow guiding their choices. Monet created over 140 winter paintings, with haystacks covered with snow being one of the most repeated images. 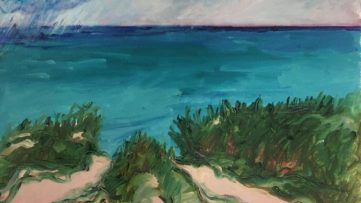 Winter paintings can convey a sense of stillness and peace in the observer, or can induce an unsettling feeling where bleakness of existence seems reflected in a desolate, winter landscape. In what follows, we will look at ten winter pieces, and see how the theme was approached and resolved in modern and contemporary art. 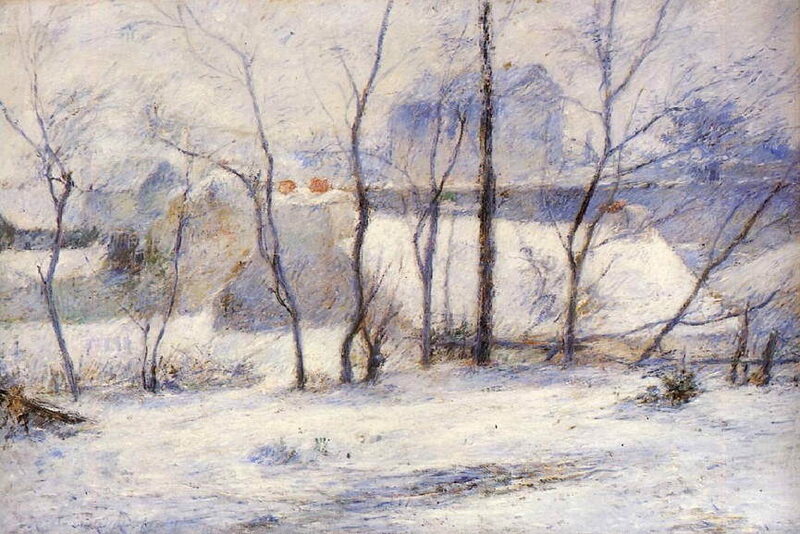 Impressionsts in Winter: Effets de Neige presents the first thorough investigation of the subject of Impressionist winter landscape. The subject of winter – clearly the most inhospitable season for plein-air painting – provides some of the most exceptional and most spellbindingly beautiful paintings in Impressionism. 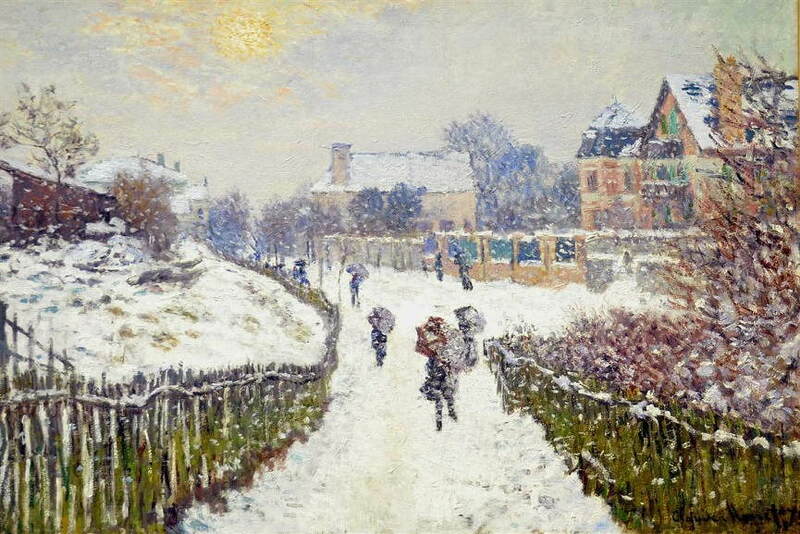 Of all the Impressionists, three painters especially were drawn to paint effets de neige: Claude Monet, Alfred Sisley, and Camille Pissarro. Their shared fascination with these ‘effets’ led all three to repeatedly seek out opportunities to paint landscapes in snow. Yet each brought to the subject a highly individual response that we find reflected in the paintings assembled in this book by Charles S. Moffett, Eliza Rathbone, Katherine Rothkopf, and Joel Isaacson. 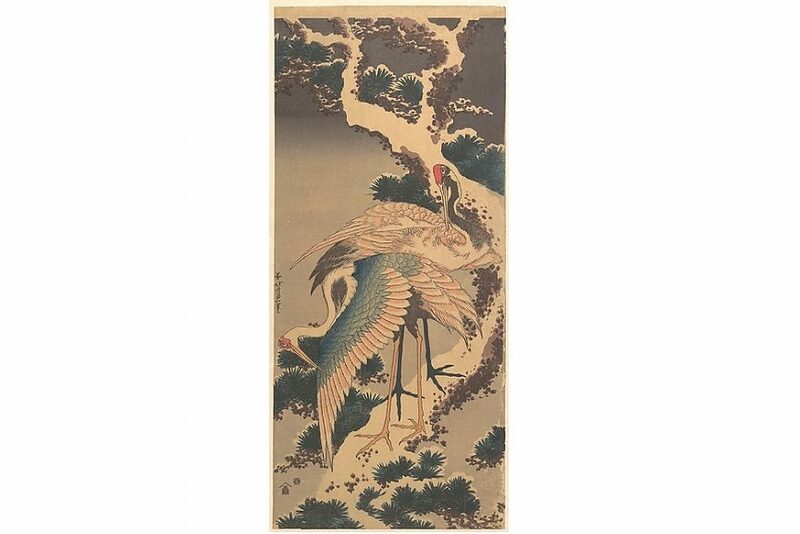 Hokusai, a Japanese artist, ukiyo-e painter and printmaker of the Edo period known for his collections of landscapes Famous Sights of the Eastern Capital and Eight Views of Edo, created this winter print focusing on the delicate balance between cranes and the white, snow-cowered branches of pine tree. One of the leading figures of Impressionist style, Renoir painted world that surrounded him. 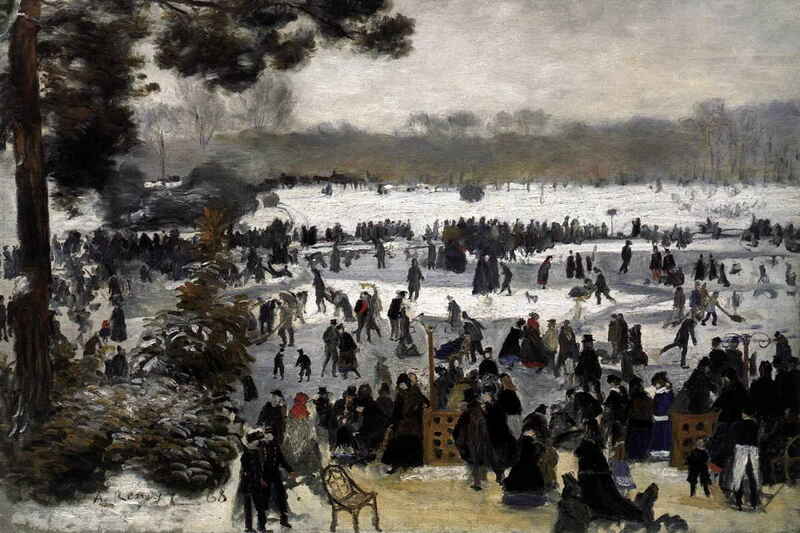 In Skaters in Boulogne forest he chose as a subject one of the favorite past-times of Parisians during winter, which he marvelously transposed into sketchy and vivid landscape painting. The most prolific of the Impressionists, Monet often worked in series, representing one object or scenery under different light. In Boulevard Saint Denis he is preoccupied with the effect of light on the city during the winter. Although Gauguin is best-known for his Post-impressionist works where he experimented with colors and his Tahiti series, here we see one of his paintings where the Impressionist influence is still evident, and the topic cannot be more removed from the blaring sun of Tahiti where he lived after leaving France. This painting is considered to be the first one van Gogh made in Arles, when he was 35 years old. Between 1882 and 1889 he painted over ten winter landscapes in watercolor and oil of the region. 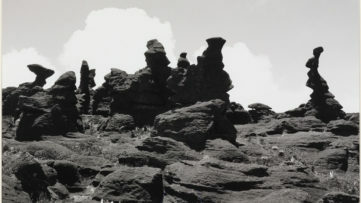 Here, the La Crau plains are set against Montmajur Abbey. Inspired by 19th century Symbolism, Norwegian painter Edvard Munch is famous for his interest in visual renderings of psychological states. 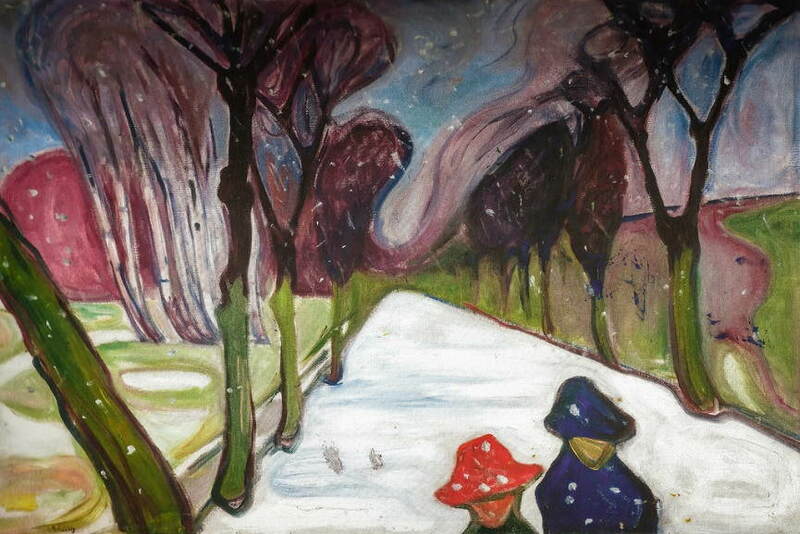 In New Snow in the Avenue he is deploying his linear style and strong color palette in order to create an evocative depiction of winter theme. Credited for painting the first abstract work, Kandinsky changed his style over the years, from beginnings in figural painting to pure abstraction. His painterly theory developed along with the experimentation with forms, and he contended that only through abstraction art can reach the profound and transcendental expression. In Winter Landscape his adherence to objective world is still visible, but the color choices suggest that he will soon be moving away from it. A painter and printmaker, Franz Marc was part of German Expressionist group. 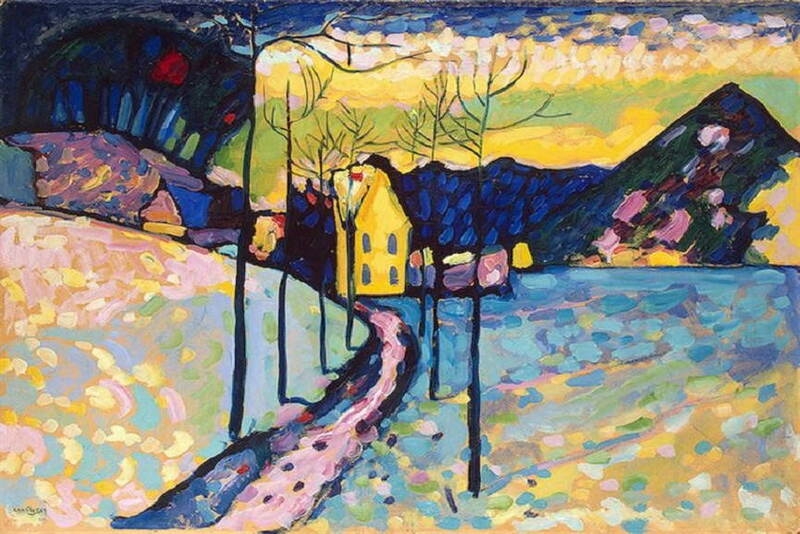 He was one of the founders of the Der Blaue Reiter journal where he collaborated with Kandinsky, among others. Marc style is characterized by the use of primary colors and simplistic renderings of objects and animals, as can be seen from Hocken im Schnee as well. 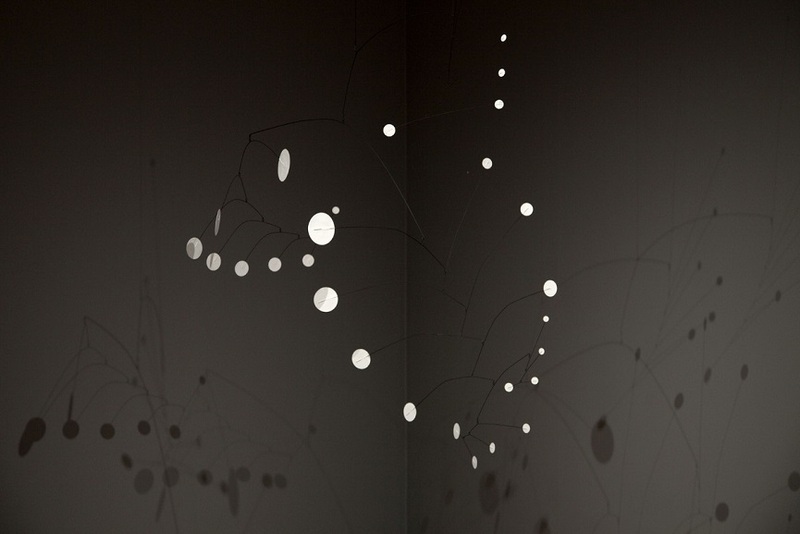 Famous for his Mobiles, a type of sculptures that are made of balanced forms that move in response to touch and currents, Calder was also inspired by winter as many creatives before him. In Snow Flurry he delicately crafted a Mobile against the dark background where suspended elements of the sculpture resemble snowflakes. 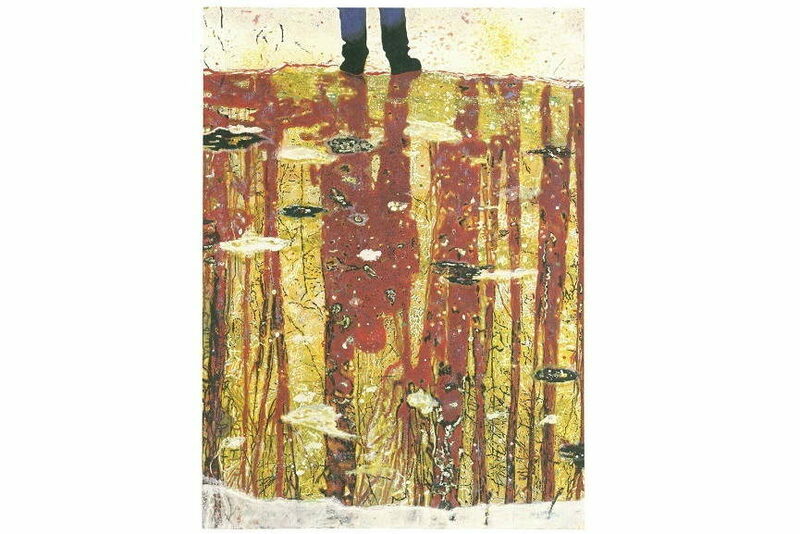 Scottish artist Peter Doig is often inspired by his and found photographs in creation of his paintings. The theme of his works is often landscape, and winter comes as a constant element present in his work but also life since he grew up in Canada. Unusual angles combined with the often unexpected colors, create a magic realist atmosphere in his artworks.